Sunnyside, NY Real Estate Analysis | Vickie Palmos – Results! 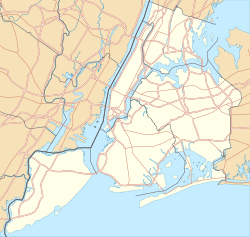 Sunnyside is a working and middle-class neighborhood in the Western portion of the New York City borough of Queens. It shares borders with Hunters Point and Long Island City to the west, Astoria to the north, Woodside to the east and Maspeth to the south. The neighborhood is part of Queens Community District 2, served by Queens Community Board 2. The name “Sunnyside” originates with the Bragraw family, French Huguenots who had purchased the land in 1713 and named their estate “Sunnyside Hill”. Sunnyside was a rural hamlet mostly consisting of small farms and marshland. It was incorporated into Long Island City in 1870, and developed into a bedroom community after the Queensboro Bridge was completed in 1909. A large portion of the neighborhood is six-story apartment buildings constructed during the 1920s and 1930s. A typical brick row house along 39th Avenue. Sunnyside Gardens, listed as a historic district on the National Register of Historic Places, is among the first planned communities in the U.S.
Sunnyside Gardens includes one-, two-, and three-family homes, and a few apartment buildings, all made of Hudson brick (it was inexpensive, durable, and available). Each private residence has a small front garden facing the street and a private garden in the rear. The rental units in the two- and three-family houses enjoy private terraces overlooking the gardens. There are two configurations: the courtyard condition and the mews condition; at the edges of the community some homes simply line the street, with a common walkway running the length of the row. Homes in the courtyard blocks enclose an inner courtyard that was designated a common, landscaped but not used for recreation. Each homeowner actually owned, and paid taxes on, the part of the common in the block and lot, even if it was not used. The mews houses face a common front court and back on alleys; each mews house also has a private rear yard. This model allowed for denser residential development, while also providing ample open/green-space amenities. Clarence Stein and Henry Wright served as the primary architects and planners for this development (Frederick L. Ackerman designed some of the mews houses), and the landscape architect was Marjorie Sewell Cautley. As an amenity for the residents, the City Housing Corporation reserved lots on the northern edge of the development abutting the railroad yards for a private park. This is one of only two private parks in the city, the other being Gramercy Park. These well-planned garden homes are now listed as a historic district. The area was first development in the United States patterned after the ideas of the garden city movement initiated in England in the first decades of the twentieth century by Ebenezer Howard and Raymond Unwin, specifically Hampstead Garden Suburb and Letchworth Garden City. Covering 77 acres between Queens Boulevard and the Sunnyside Railroad Yards, Sunnyside Gardens was constructed between 1924 and 1928 by the City Housing Corporation, founded by developer Alexander Bing, and architects Clarence Stein and Henry Wright. The project grew out of discussions in the early 1920s about housing and planning; Lewis Mumford was a leading participant. In the early years of the Great Depression, nearly 60 percent of the residents lost their homes to foreclosure. Those difficult years saw organized resistance by residents who forcefully resisted efforts by city marshals to evict families. The character of Sunnyside Gardens was protected by 40-year easements which protected the integrity of the courtyards and common walkways and controlled changes to the exterior of every property, extending to even paint color. Those covenants lapsed in the mid-1960s, and some homeowners rushed to claim their property, erecting fences into the middle of some courtyards. In response, in 1974 the Department of City Planning designated Sunnyside Gardens a special planned community preservation district, together with Fresh Meadows, Parkchester, and the Harlem River Houses. With that designation came rules protecting the inner courts and landscaping, and prohibiting driveways and curbcuts, rear sheds, and additions. The Sunnyside Gardens Historic District is a national historic district that includes 66 contributing buildings and 12 contributing sites. It was listed on the National Register of Historic Places in 1984. In 2003, a grassroots movement started to request designation as a New York City Historic District, in response to lack of protection for the historic character of the homes in the neighborhood. The campaign was surprisingly contentious and garnered publicity in major news outlets, including WNYC and the New York Times. On April 17, 2007, the Landmarks Preservation Commission held a public hearing on the neighborhood; 60 residents and advocates, including Fiona Lowenstein, a descendant of Henry Wright spoke in favor of landmark designation while 25 people spoke against. According to the New York Times, Sunnyside Gardens is a “Pocket of Queens Brimming with History and Now Resentment”. This was documented on New York Public Radio in a segment called “Cloud Over Sunnyside?”. On June 26, 2007, the Landmarks Preservation Commission voted to designate the community. Before designation there was considerable illegal or simply inappropriate work done on houses. Since designation, there has been a noticeable drop in work done without Department of Buildings permits, and many homeowners have restored their properties under the standards set by the Landmarks Commission. One project converting a two-family house into a single-family residence was awarded an award by the New York State chapter of the AIA. Gradually the district is returning to its original character. Ethnicities of Sunnyside’s residents include those of Latin American (Colombians, Ecuadorians, Dominican, Salvadorans and Puerto Rican), Jewish, Korean, Japanese, Chinese, Russian, Nepali, Indian, Albanian, Bangladeshi, Greek, Irish, Italian, Turkish, Armenian, and Romanian ancestry. Sunnyside is 48.0% White, 28.0% Hispanic/Latino (of any race), 24.0% Asian. The median income for Sunnyside is $37,962 USD. There are 14,798 females and 14,708 males currently residing in Sunnyside. Sunnyside is served by the 7 train on the New York City Subway‘s IRT Flushing Line , with 33rd Street – Rawson Street, 40th Street – Lowery Street, and 46th Street – Bliss Street in Sunnyside. The Q32, Q39, Q60, Q104, B24 buses run through Sunnyside. The area has easy access to Manhattan via the Long Island Expressway and the Queens Midtown Tunnel and to Brooklyn via the Brooklyn-Queens Expressway. Sunnyside is also known for the former Pennsylvania Railroad (now Amtrak) railyard known as Sunnyside Yard. It is a staging area for both Amtrak and New Jersey Transit trains leaving from Penn Station. The proposed East Side Access project will include a new Long Island Rail Road train station in Sunnyside at Queens Boulevard along the LIRR’s Main Line (into Penn Station) will provide one-stop access for area residents to Midtown Manhattan and Grand Central Terminal. Sunnyside has produced or nurtured such talents as Johanna Magdalena Beyer, Ethel Merman, Perry Como, Nancy Walker, Benh Zeitlin, David Horowitz, Judy Holliday, Joe Spinell, James Caan and Rudy Vallee; artist Raphael Soyer, and writers and social activists such as Lewis Mumford and Suze Rotolo. The Queens-grown punk rock group The Ramones played some of their earliest gigs in Sunnyside pubs during the 1970s. In the years before World War II New York Giants star Hap Moran coached a youth football team, the Mustangs, in Sunnyside Park. Legendary jazz musician Bix Beiderbecke, “the remote and mysterious jazz cornettist… died in obscurity” in an apartment building at 43–30 46th Street, in Sunnyside. On the 100th anniversary of his birth, the Greater Astoria Historical Society joined with a number community groups to erect a plaque in his honor. William Patrick Stuart-Houston, the nephew of Adolf Hitler, lived in Sunnyside for a brief period of time before leaving for the U.S. Navy in 1944. Former pro wrestler Chris Kanyon came from Sunnyside.